Random Thoughts: Ice cream in Taxation !!! Ice cream in Taxation !!! Well, this is really a funny one. Was just reading a book on taxation of derivative contracts. 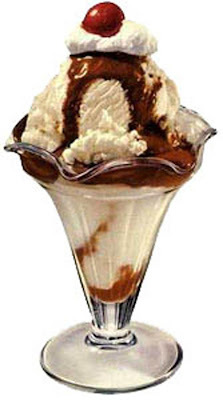 There I came to know that there exists an ice-cream flavour developed by financial markets and taken care of by law. Heard of 'plain vanilla'??? No??? Well same was by case when I heard about it for first time; "come on, you gotta be kidding" types. But naah, they do exist. This term is in fact very popular in financial markets, used to describe a simple financial instrument (no wonder 'vanilla').